Food for thought and riddle me this: What do you get when you put a long shot and a misfit together on the same line with a future NHL legend? The answer is one of the hottest first lines currently working in NHL hockey. The combination of Conor Sheary, Bryan Rust, and Sidney Crosby has been nothing short of fantastic over the past month. Their chemistry is really starting to gel and their fusion of skill and speed make them hard to defend against. Their amount of scoring has been deliciously brilliant and their passes seem almost intuitive, especially where Crosby is concerned. He has a knack for just knowing where another player is or is going to be. The numbers don't lie. As of January 22, this line alone has been responsible for 20 of the last 60 goals scored since December 20, 2016. That is 1/3 of the scoring in 14 games if you are keeping track. Each player brings something different to the table but every dish makes the meal a success. 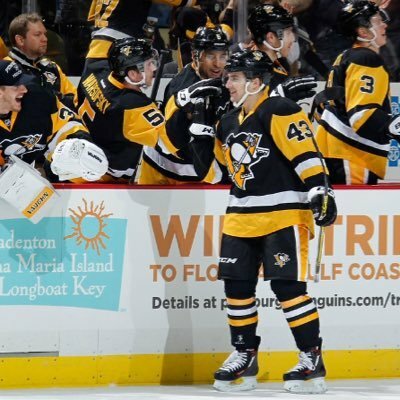 Conor Sheary continues to make his high school hockey coach eat crow. He was recently named the NHL's First Star of the Week and has nine goals in nine games. He is currently riding a career-high four game point streak and his league leading eight goals in the month of January makes him one of the hottest players in the game.
" It's going better than I expected at this point. I think it's a mixture of a lot of things; the way we are playing as a team and the way out line has been playing. I think its just been clicking right now. These streaks usually don't last so I'm going to enjoy it while its there." Right now for Sheary, it's all gravy, and he is currently on pace for a 30+ goal season. It would make him the first winger to do so since the 2013-14 season when Christ Kunitz amassed 35 goals. 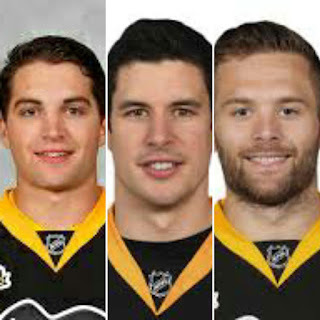 Bryan Rust came up from Wilkes-Barre at the same time as Sheary. For most fans, he was seen as nothing more than a typical fourth liner. Someone who is going to get down and dirty along the boards to keep play moving and maybe score every once in a while. Basically a side dish that is okay every once in a while when you are in the mood for it. Flash forward to 2017. Rust is now a top line winger and is the only one of the four "babies of Wilkes-Barre" from last season to have hat trick (December 5, 2016 vs. Ottawa). In the month of December, Rust had seven goals and three assists for ten points. Though not as flashy as the other two line mates, Rust earns his keep in other ways besides goal scoring. He can make plays happen and agitate an opponent to get them to make a mistake (which has become his bread and butter). In fact, it was his starting pass to Crosby that set up the tic-tak-toe goal for Sheary versus the Carolina Hurricanes on January 20. "We've played together for a while now. We are definitely starting to learn each other's tendencies. that's helping us offensively." Then there is Sidney Crosby. The centrepiece of this hockey feast. He currently leads the league with 28 goals, and is tied for second in the NHL scoring race with Evgeni Malkin, just two points back from leader Connor McDavid (Edmonton Oilers). With each passing game, Crosby continues to remind us why he is considered the best hockey player in the world, the crème de la crème as it were. Not only can he can elevate his own game, he can do so while teaching and pushing those around him to strive to be better as well. His shot has become more accurate and he is making more of them net than ever. As of January 13, 835 of his shots on net forced the opposing goalie to make a move in defense of a scoring chance. He is playing more defensively which helps generate offense and is only six points shy of getting his 1000th career point. 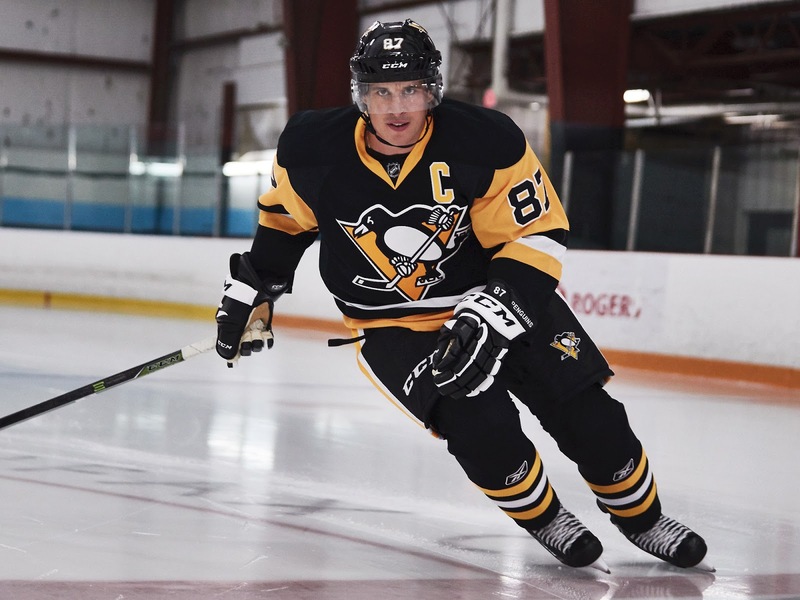 While the national fan base sees the new and shiny superstars in McDavid, Auston Matthews, and Patrik Laine, Sidney Crosby is out to prove that he is not ready to hand over reigns as the golden boy of the NHL just yet. "He can play a power game. He can play a finesse game. He can play a speed game. he can beat you off the rush. He can beat you in a grind game coming out of the corners. His game is so versatile offensively. He is certainly playing inspiring hockey for us right now." - Head Coach Mike Sullivan for the January 13 issue of The Washington Post. 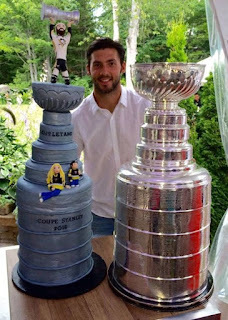 It is going to take continued success from "Sid and the Kids" if the Penguins hope for a repeat championship, but we all know man cannot live on bread alone. It will take effort from all four lines and the defense when March comes around and all points matter. Unlike the rest of the lines and defensive pairings, the CRUSH Line has stayed pretty much consistent with its personnel which aids to their ease of play with each other. With that ease comes goals, and the more goals comes more wins. As Mike Lange says, "the turkey is on the table" as it stands for the Penguins but let's not get our fill now in just one sitting. Second helpings (and leftovers) are always welcome here, but let's leave some room for a sweet dessert in June.